I'm a software engineer at Apple and a computer science alumnus of the University of Illinois. I enjoy designing, building, and programming embedded devices. I also enjoy working on theater lighting. 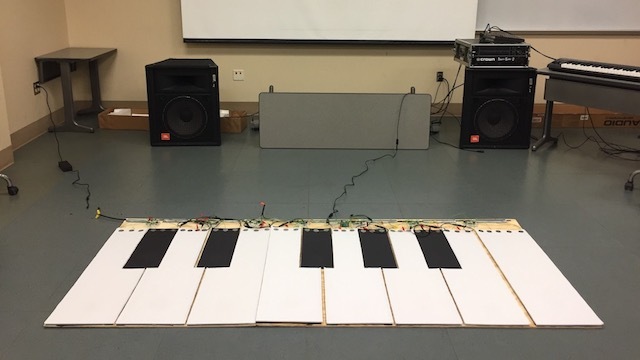 In SIGMusic, I led the design and construction of a giant MIDI piano that we demonstrated at Engineering Open House. It consisted of an octave of plastic keys, each approximately 1 foot by 4 feet, which could be "played" by stepping on them. The notes were sent over MIDI to a computer to be synthesized as part of a Guitar Hero-style game. Each key contained force detection circuitry as well as LED strips to visually indicate the key press. 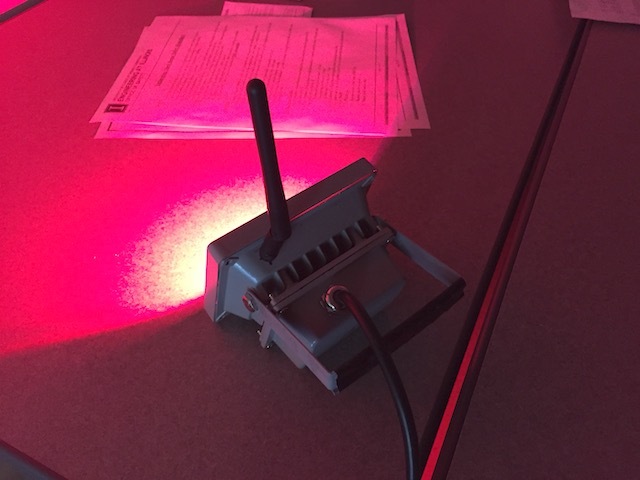 As a member of SIGMusic, I worked on two versions of a wireless lighting project that have been used in demonstrations at Engineering Open House. The first version, in 2015, used Bluetooth-connected Arduino Pro Minis to control eight RGB LED floodlights. They were managed by a Raspberry Pi running a websocket server written in Python. While this setup mostly worked, we decided to improve it for 2016. The second version used the same RGB LED floodlights, but with more suitable hardware and software. I designed improved logic boards for the lights and used nRF24L01+ radio modules instead of Bluetooth. OSH Park fabricated all the circuit boards, and then I soldered them by repurposing a toaster oven as a reflow oven. I also wrote a frequency hopping algorithm in addition to a multiprocess websocket server in C++. 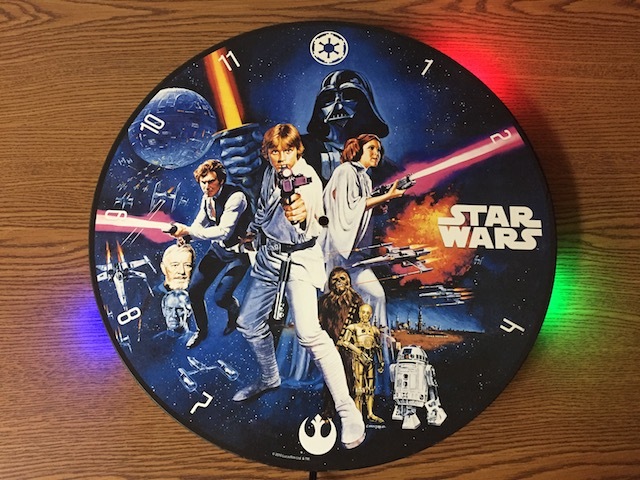 When the mechanical hands on my Star Wars clock broke, I decided to salvage the clock face by replacing the hands with an RGB LED strip. I used an ESP8266, a strip of 60 NeoPixels, and a 3D-printed frame to build a Wi-Fi LED clock. The ESP8266 connects to Wi-Fi, determines its time zone based on the IP address location, and then requests the time via NTP every few hours. I wrote the firmware in C++, including my own geolocation and NTP synchronization libraries. The photo below was taken at 8:17:06 PM. Blue, green, and red LEDs represent the hour, minute, and second hands respectively (although this is configurable on the webserver's settings page). There are three different display modes: "ticking" hands, "smooth" hands, and progress bar mode. It also has the option of dimming the LEDs between sunset and sunrise, and it uses gamma correction to ensure the brightness appears linear. For our class project for CS 411 (Databases), my group and I made a website called ClassMaster that tracks enrollment statistics in classes at the University of Illinois. The server requests data for every class once per day. Once the database had enough data to make informed predictions, I added the ability to predict future availability from past semesters. I also rewrote the codebase to make it more secure and maintainable. It is published at canitakethisclass.com and is now maintained by aschmitz. I developed the firmware for a MIDI control device for a lighting technician on Broadway. The Arduino-based device displays information on the LCD about the MIDI packets being transmitted. The packets can be blocked or passed through by toggling a button. For the BoilerMake fall 2014 hackathon, my team and I developed a Verilog-to-Minecraft "compiler." It takes code written in Verilog (a language that describes how circuits are connected) and generates a representation of the circuit in the popular game Minecraft using redstone logic gates. In February 2013, I started designing a peripheral for my TI-84 graphing calculator that would allow it to run theater lights over the DMX protocol. The idea is that the calculator sends changes in channel values to an Arduino, which processes the new channel value(s) while also transmitting DMX packets 44 times per second. The adapter is designed to be compatible with all calculators that can send data over the standard TI link port, which encompasses nearly all TI graphing calculators. I demonstrated the project at Engineering Open House 2014 using motorized DJ lights. The project is available on GitHub and Hackaday.io. 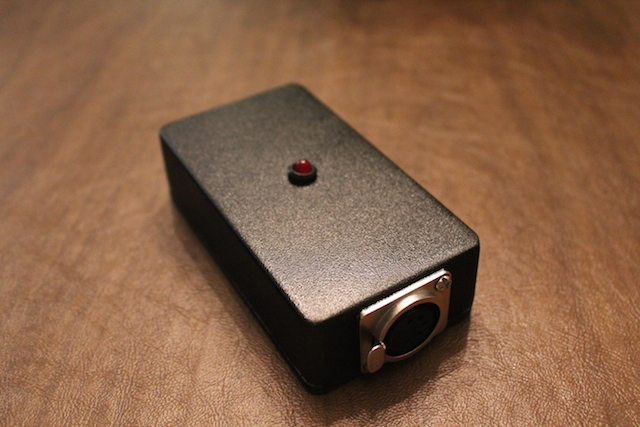 It was featured on Hackaday on August 3, 2014. Several videos about the project are available on YouTube. In August 2011, I began work on an extension for Google Chrome to add a home screen of apps to the new tab page. In the summer of 2012, I finally published version 1.0 of Launchpage. I later published version 1.1, adding the ability to save any website to the home screen. In August 2015, I published version 2.0, making Launchpage follow Material Design principles, and made Launchpage open source. From March 2011 to March 2012, I designed and led others in building a portable training device as my Eagle Scout project for the Versailles Fire Department. The plans are available on GitHub, and some videos are available on YouTube. description I developed significant portions of the secure boot ROM for a new SoC architecture. description I ported a software DMA engine to run on an off-the-shelf RTOS instead of its original firmware. description In the Computer Architecture course in spring 2015, I taught three lab sections, helped write the semester's SPIMbot competition, proctored and graded the midterm exam, and held office hours. SPIMbot is a competition where students program MIPS assembly for a simulated robot to execute. The spring 2015 competition involved solving word searches to acquire energy and collect stardust to grow their planet bigger than their opponent's. I primarily wrote the memory-mapped I/O interface and puzzle solution checker. In fall 2015, I taught three lab sections, held office hours, and proctored the midterm exam. In spring 2016, I taught two lab sections, assisted with a discussion section, and held office hours. In fall 2016, I taught one lab section and held office hours. In spring 2017, I taught two lab sections, held office hours, and proctored the final exam. description I worked as an embedded software developer, programming microcontrollers in C for products such as medical procedure chairs. description I worked on several web development projects ranging in size. Want my résumé? Download the PDF.